The holidays can be such a joyous time, with festive parties, lots of baking and lights twinkling. But this time of year can also be stressful, from balancing an overbooked schedule to working your way through a seemingly endless to-do list. It can often be more chaotic than calm. Today, we’re sharing a few new ways the Google Assistant can help you survive the busy holiday season. The holidays are full of gatherings with friends and family, so it’s important to encourage polite manners in your family (adults included! )—even when using the Google Assistant. To help encourage and reinforce polite behavior, we’ve added a new feature called Pretty Please. Say “please” or “thank you” when using the Assistant and you’ll often be rewarded with delightful responses. 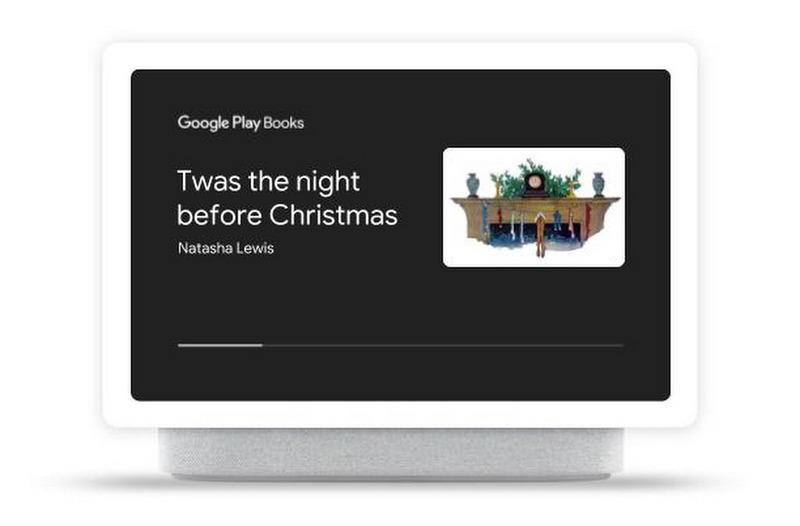 Try “Hey Google, please play some holiday music for me” or “Hey Google, please set a timer for 5 minutes.” Your Assistant will often respond with something like, “Thanks for asking so nicely. Alright, 5 minutes. Starting now.” Pretty Please is enabled for all voice matched users on Smart Speakers and Smart Displays starting today, so that everyone can feel the warm rewards of politeness. Sometimes the perfect gift idea hits you when you least expect it. Starting today, you can keep track of your ideas with notes and lists in the Google Assistant, just by using your voice. From grocery lists to holiday gift lists, you can now capture your thoughts and manage multiple lists in one central place. We’re also adding support for Google Keep, Any.do and Bring!, and Todoist soon. The Nest Hello video doorbell works with your Smart Display to let you know who’s at the door. To make communication with visitors even easier, we’ve just introduced the two way talkback feature—allowing you to speak with your guest before you let them in. Try it out next time someone rings the doorbell by tapping the blue “Talk” button. You can now sing along to your favorite songs with your Smart Display. With a Google Play Music subscription, you can find and learn the lyrics to many of your favorite songs. Simply ask the Assistant to play a song of your choice, and watch as synchronized lyrics appear on screen when the music begins. Just say “Hey Google, play ‘Jingle Bell Rock’ on Google Play Music.” This feature is available today for select songs. To add a little magic to storytime, you can ask your Assistant to read along to enjoy sound effects and music on Google Home. Get in the holiday spirit and curl up with a classic like Disney’s “Mickey’s Christmas Carol” Little Golden Book. To get started, just say, “Hey Google, let’s read along with Mickey’s Christmas Carol.” You can see the full list of available titles here. And for even more ways to enjoy this feature, we’re introducing four new books from Disney over the coming weeks, including beloved titles like "Frozen," "Aladdin," "Mulan," and "The Lion King." For children under 13 that would like to use the Assistant, parents can easily create an account through Family Link, and then link their Google Account and voice to Google Home. Did you know that the Google Assistant is your direct line to the North Pole? This year, Santa Claus is busy rehearsing for a musical concert—but he only knows one song and needs your help! If you’re up for the challenge of helping him figure out the best way to play it, say “Hey Google, Call Santa” and let the fun unfold. Or make a call on a Smart Display to see the range of fun album covers the bands up in the North Pole have made. 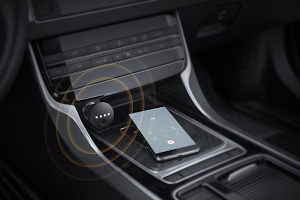 Broadcast Replies: When you’re out grabbing groceries to prepare for your holiday feast, the Google Assistant can help you easily connect with family at home by using broadcast to check if anything else needs to be picked up. Starting next week, you can also reply back from a smart speaker or Smart Display to your phone or other Home devices. Sharing photos: Google Photos is another feature on Smart Displays that can show you past holiday memories with family and friends. Now, we’re making it easier to share photos with people on your contact list when you land on a photo that you like by saying “Hey Google, share this photo with April.” You can also quickly hide a photo from your ambient screen or favorite a photo to be enjoyed again at a later time. Touch Alarms in Quick Settings: We added a quick way to set an alarm on your Smart Display -- just swipe up from the home screen and tap the new timer button. This holiday season, let the Google Assistant help you streamline your day so you can spend more time doing the things you love, with the people who matter most.